Being sold a lemon means you have been tricked into buying something which is seriously defective. When you say that something is a lemon it implies that it is useless because it fails to work properly. That’s a pretty good description of the the German dictated piece of financial engineering known as the Euro. It must rate as one of their worst ever engineering efforts. Even the much maligned East German Trabi is an engineering marvel by comparison. 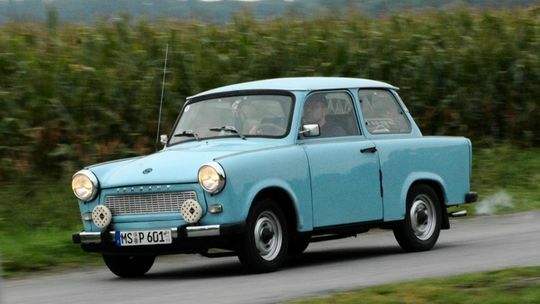 Unlike the euro system, the Trabi has a starter motor to re-start the engine after it has stalled! The Euro, and the GSP rules that go with it, is clearly not fit for purpose. The Greek electorate is more than justified in demanding it be fixed under warranty. However, the makers have just declined, and are even insisting that the problems are all of the customer’s own making. No-one else has reported any problems! Except the Spanish, the Irish……. There has to come a time when the buyer has to consider a “lemon” is much more trouble than it is worth. The buyer needs to stop making any further payments, ask for a refund, ask for damages too, and ultimately get rid of it.